Capacity at the Downtown Heliport may be limited during busy periods. In this case, the VIP Heliport will be used. A mandatory $2.50 Heliport Security Fee will be payable at both heliports and an additional $40 Passenger Handling Fee will be payable at the heliport. Duration: Flight duration is approximately 20 minutes. Don’t Miss: The close-up aerial view of the Statue of Liberty and Empire State Building. New York, New York – so good they named it twice! 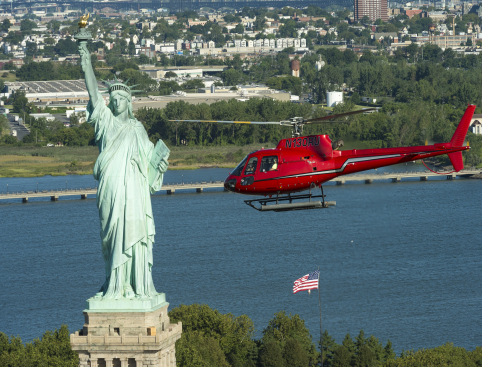 If you don’t want to miss any of that good stuff, grab the opportunity to see the Big Apple from a whole new perspective on the exceptional value-for-money New York Helicopter Tour! What better way to see one of the most exciting cities in the world than with a panoramic view from above. Experience a birds-eye-view of all the most famous NYC sights including the Statue of Liberty, Ellis Island, Central Park, and much more! 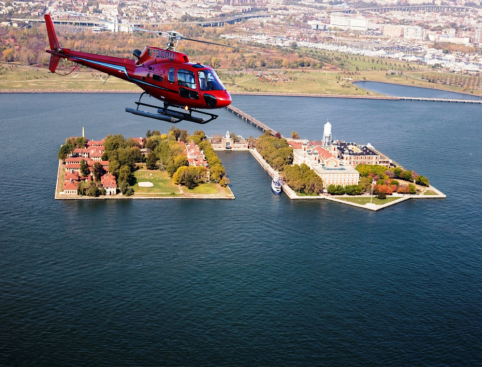 Your experienced New York Helicopter Tour pilot begins by swooping down the Hudson River and over New York Harbour offering captivating views of the famous city skyline. You’ll take in famous monuments, buildings and districts including the Statue of Liberty, the Verrazano Bridge and Governors Island and more. Further up the river towards Midtown, passing so close you can almost reach out and touch them, you’ll soar the towering skyscrapers for which the city is renowned including the Met Life, Chrysler and Woolworth Buildings and of course, the Empire State Building. No matter how many times you’ve toured the Big Apple and think you’ve seen all there is to see, you’ll never have seen it like this! 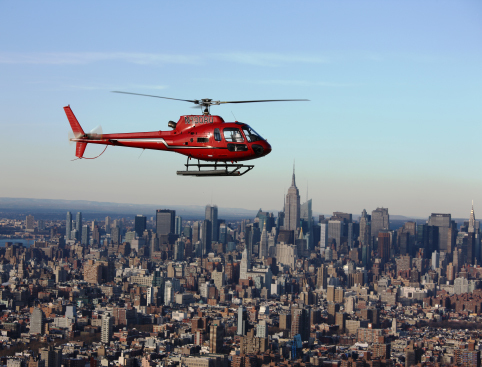 As you’d expect, places go fast on the popular New York Helicopter Tour, so book early to avoid missing out! Monday to Saturday from 9am to 4.30pm and Sundays from 9am to 4pm. Please note that from April 1st 2016 tours will no longer operate on Sundays. Passengers must be aged 3 years old or over. Any passengers exceeding 300lbs (136kg/21.4 stone) may need to pay extra or purchase an additional seat (payable locally) before taking this tour. 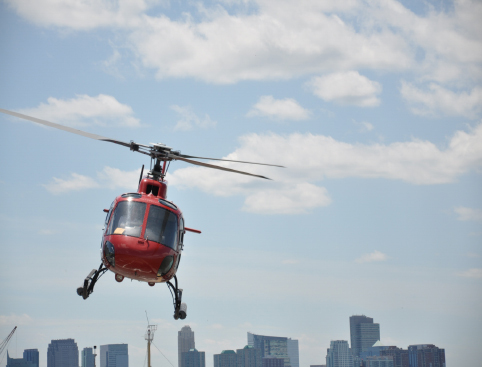 Downtown Manhattan Heliport, 6 East River Piers, NY 10004. Please Note: Departures may be from the VIP Heliport during busy periods. This tour is narrated in English. 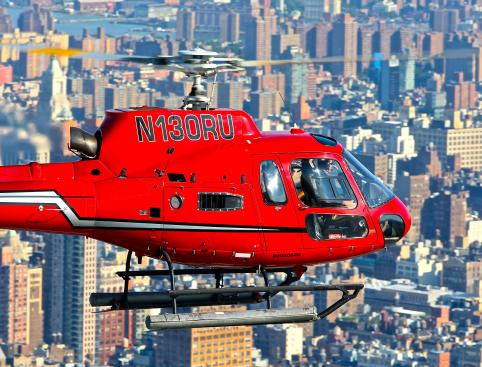 20-minute helicopter tour over New York. Mandatory $2.50 Heliport Security Fee (payable at both heliports). $40 (per person) Passenger Handling Fee, payable at the heliport.